Oil prices are expected to continue to rise in 2011 – beyond $100 a barrel. That could push gasoline prices to over $4 a gallon by summer in some parts of the country, according to industry experts. Not only will drivers feel the pain at the pump, but the cost of other goods and services will also rise. 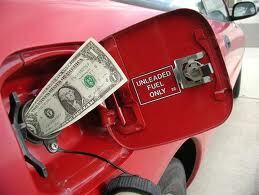 Whenever gas prices rise, the cost of doing business goes up. Many businesses whose margins are already razor thin are forced to pass the increased costs to the consumer. Things like food, travel, and retail goods become more expensive. The U.S. is the world’s largest oil consumer. But oil prices have remained high primarily because of rising demand in developing countries such as China. China’s oil consumption is expected to rise 5 percent in 2011, which is quite high when compared to the US with less than a 1 percent growth forecast for this year. Rising oil and gas prices are especially tough on small-to mid-sized businesses that operate a fleet of vehicles, because even small increases in gas prices have a big impact on a larger scale. Many businesses are realizing that increasing sales in this economy is challenging, so they are looking for ways to save money. One great way for businesses to cut costs and fight back against rising gas prices is by using a GPS fleet tracking system. By improving a fleet’s efficiency, US companies can save over $2 billion annually. Telematics-enabled GPS fleet management systems can help to significantly reduce a fleet’s operating costs. In today’s tough economic climate, profit margins are slim and companies must implement as many cost-saving initiatives as possible. In order to stay competitive, companies have to look very closely at every penny spent. Because a fleet management system can provide an ROI in less than six months and immediately reduce fuel consumption, companies both large and small are utilizing them to improve the bottom line.